While there are so many wonderful plant frow which to choose, the following list is a good place to start. Select plants that appeal to the senses, are familiar or intriguing, and those that kids can use in cooking or craft projects. Be sure to take your growing conditions and zone into consideration. Please keep in mind a few safety rules when gardening with herbs and children. 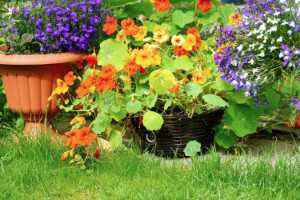 • Always be sure that you correctly identify your plants and that they are safe for eating. • Be sure that any plants you eat have not been exposed to harmful chemicals and make sure that they are washed thoroughly before you use them. • Teach your children never to put any plant from the garden in their mouth without asking for permission from an adult first. 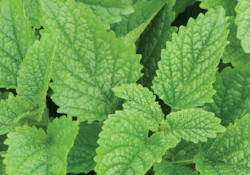 Lemon Balm is easy to grow and maintain. In fact, take care with this plant because it is a prolific grower and can easily get out of control in the garden. It is recommended that this herb be planted in a container. 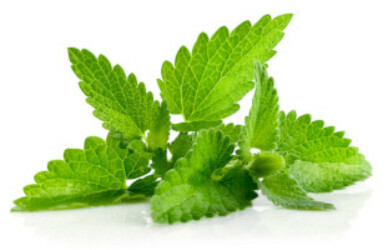 If you intend to put Lemon Balm in your garden be sure to remove the flower heads before they set seed. 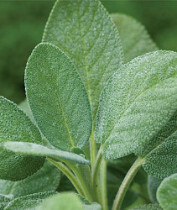 Children will enjoy the lemony fragrance of this plant as well as the texture of its leaves. Lemon Balm is easy to start from seed, making it an ideal pick for seed starting projects with your children. Children will take great delight in watching the butterflies, birds, and bees that are attracted to these plants. Salvias also have fragrant leaves and striking flowers. 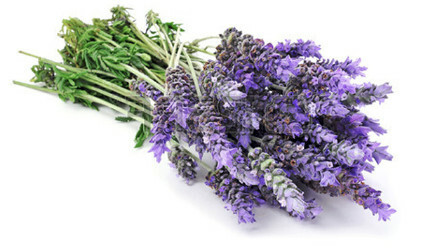 Lavender is a great pick for kid's because of its fragrant leaves and flowers. The plants are known to attract birds, butterflies, and bees. Many varieties also adapt well for use in containers. In addition, the colorful flowers can be used for crafts and cooking. Lavender is durable and will endure some neglect and abuse which makes it a great choice for young children learning to garden. 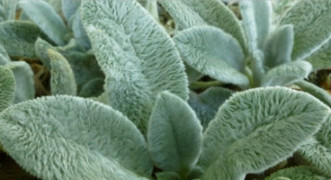 Lamb's ear is a great herb for touching. Children will be delighted with the soft, downy leaves. This plant is often grown more for it's foliage than its flowers. However, when they are not cut back the flower spikes are also an enjoyable addition to the garden. 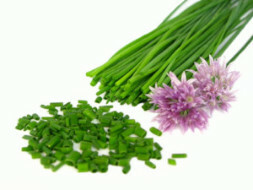 Chives are a colorful, easy to grow choice for gardening with kids. The flowers and stems are edible and when dried they are great for use in crafts. In addition, they are colorful and fun for children to smell. Colorful flowers and fun shaped leaves make nasturtiums a great pick for growing with your children. Their seeds are large, making them easy for small fingers to handle when planting. Children will also enjoy trying out the freshly washed, peppery tasting leaves. In addition, they are easy to grow and can attract hummingbirds to your garden. 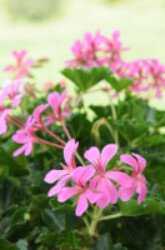 Scented geraniums – Pelargonium sp. come in peppermint, nutmeg, apple,strawberry, and rose -scented varieties to name a few. 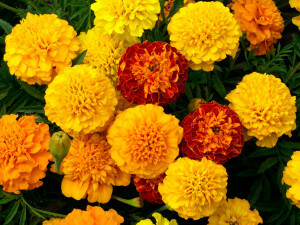 They work well in containers and small spaces,and can be grown successfully indoors and out. Children will enjoy the great sensory benefits that these plants provide. 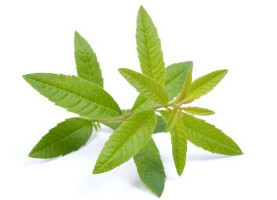 Lemon verbena has a pleasing lemony scent that delights children and adults alike. The scent remains long after the foliage is dried making the dried leaves a wonderful choice for potpourris. are a great choice for beginning and young gardeners because they will tolerate small amounts of abuse and neglect. Mints offer many great choices for a children’s garden. Their fragrance delights gardeners of all ages. They are prolific growers and it is recommended that they be planted in containers to keep them in check.